I’m going to tip off this countdown with an idea that never even made it past being a passing fancy, though I did put a little bit of thought into it. 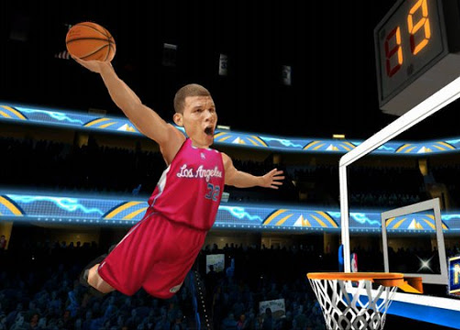 Basically, I was going to do a story thread for the 2010 remake of NBA Jam, starring Blake Griffin. The wackiness of an arcade basketball game was going to be explained away by the old “It was all a dream” trope, though I intended to make it humorous and self-aware. The tale would begin with Blake Griffin undergoing the knee surgery that forced him to miss the entirety of what would have been his rookie season. As he’s put under, he begins to dream that he’s in a very strange reality indeed, where he and his fellow NBA players have superhuman athleticism and professional basketball is quite a different sport. As the story continues to unfold, he and the Los Angeles Clippers would progress through a league that is NBA Jam’s Classic Campaign mode, before he finally woke up. Basically, it was going to be an exercise in creative writing, a change of pace from the “sports pages” style of story threads that I usually maintain. Other members of our community have produced some really entertaining story threads that utilise more of a narrative style, so I figured it would be a fun way for me to give that approach a try. What ultimately stopped me, however, was the game itself. In my opinion, the 2010 remake of Jam is a somewhat underrated game and unfairly maligned due to the cancellation of NBA Elite 11, but its Classic Campaign mode is a little tedious and repetitive. When this idea came along, I’d simply grown too weary of the game to actually follow through on it. Kevin Garnett has been one of my favourite non-Chicago Bulls players since he was drafted by the Minnesota Timberwolves in 1995. While I’m not a fan of some of the cheap and dirty stuff in his bag of tricks, I’ve always liked his game and in his younger days, he produced a lot of highlight plays. So, when it came time to pick a team for Franchise Mode in NBA Live 2003, I decided to pass on my beloved Bulls and take control of KG’s Timberwolves, at the time a rising power in the West. I ended up playing through about half the season and doing reasonably well, though I can’t remember my exact record and that save file is long gone. What turned me off completing even a single season was my growing frustration with NBA Live 2003. Try as I might to overlook the silly cutscenes, inflated scores and other arcade elements, as a sim gamer I was having a tough time enjoying the game the more I played it. 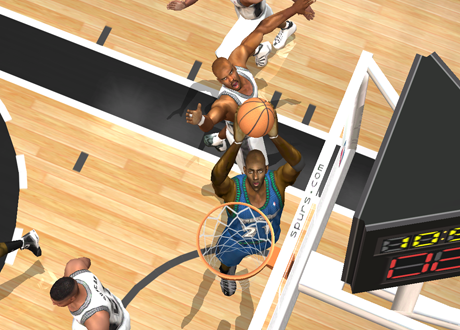 Fortunately, NBA Live 2004 turned out to be a much, much better game. Remembering that playing with a team featuring Kevin Garnett certainly did have its fun moments, I brought him to Chicago via a trade and as I mentioned last week, ended up having one of my all-time favourite Dynasty games. First of all, I apologise for that heading, but we’re all allowed to use that pun once a year. Same goes for anything to do with the Phoenix Suns rising, Indiana “setting the pace” and any ornithological references when talking about Larry Bird. This is a strange one. Looking to try something very different, I started a Franchise in NBA Live 2002 with the Utah Jazz and immediately began shaking things up. Because I used to trade for him in a lot of Franchises at the time, I brought Mike Bibby in to replace John Stockton, a move that was as ridiculous at the time as it is in hindsight. I traded for Scottie Pippen, because he’s one of my all-time favourite players. I also thought it would be interesting and kind of funny to keep Karl Malone around but bring him off the bench as a role player, probably because I’ve never been a huge fan. To be honest, when I was younger I was actually somewhat of a hater when it came to The Mailman. I thought that this silly, wacky and radically different approach to a Franchise would be entertaining. In short, it wasn’t. The team wasn’t very fun to play with, the joke of bringing one of the greatest power forwards of all-time off the bench while he was still in fact an All-Star wore off quickly and I probably only played two or three games tops before calling it quits. Looking back, I should’ve just gutted the Chicago Bulls to bring back MJ and Pip so that I could have them overachieve for a seventh ring. You may or may not be familiar with a movie called Celtic Pride starring Damon Wayans as Lewis Scott, a selfish, egotistical superstar guard for the Utah Jazz, squaring off against the Boston Celtics in the 1995 NBA Finals. Mike O’Hara (Daniel Stern) and Jimmy Flaherty (Dan Aykroyd) are two diehard Celtics fans that end up kidnapping him before Game 7. Hilarity ensues. Celtic Pride certainly was not critically acclaimed (if you can believe it) and it’s not exactly a cult classic either, but it’s watchable and has some entertaining moments. When I saw it going for a few bucks in a bargain bin, I even picked it up on DVD in an “Eh, why not?” moment. 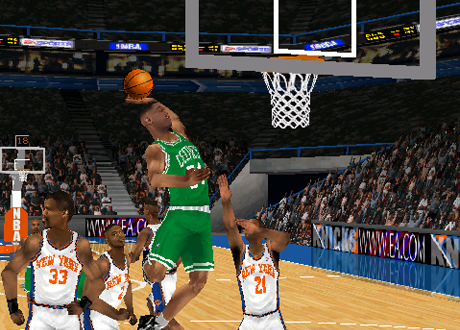 Several years before that however, I’d rented it from my local video store and after watching it for the first time, for whatever reason, decided to play a short season with the Celtics in NBA Live 99. 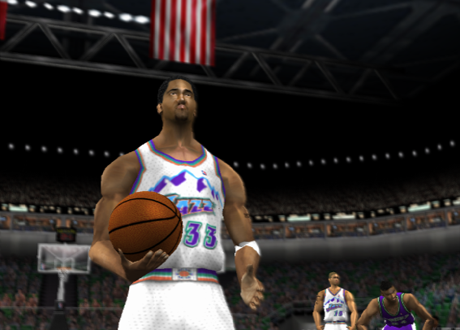 I hadn’t played NBA Live 99 in a while, it was still one of the more recent games in the series at the time and I guess it struck me as a fun, random thing to do. Needless to say, I played a few games and then quickly lost interest. I didn’t feel particularly inspired by the Celtics’ roster at the time, which featured a rookie Paul Pierce, cover player Antoine Walker and…not too many other standout players. In hindsight, I should have just created the fictionalised versions of the Jazz and Celtics from the movie and played a few games with them instead. If you’re a younger NBA fan, you may only know the Sacramento Kings as a perennial lottery contender that recently came very close to relocating and becoming the new Seattle Supersonics. A little over a decade ago however, they were an up and coming contender in the West and were one very controversial Playoff series away from toppling the then two-time defending champion Los Angeles Lakers and advancing to the 2002 NBA Finals. In my hands, they fell short in NBA Live 2002 as well. I rank this as my number one failed basketball video game endeavour because I was really into this Franchise, playing over sixty games of the regular season with 12 minute quarters and obviously beginning to close in on the Playoffs. The rivalry with the Lakers was even there, as they were very tough opponents and Shaq had a couple of huge games against me, scoring 71 and 56 points. 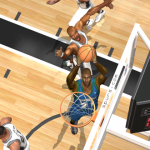 Yes, Shaq was simply a beast in NBA Live 2002 and the AI had no qualms about exploiting that. I actually wasn’t sure that I’d be able to get by them in the Playoffs, playing on Superstar difficulty. Sadly, I’d never get to find out. Why did I call it quits? As with my Timberwolves franchise the following year, my interest in the game unfortunately waned before I could complete one full season and I ultimately put it aside as frustration with various gameplay issues sapped my enthusiasm. 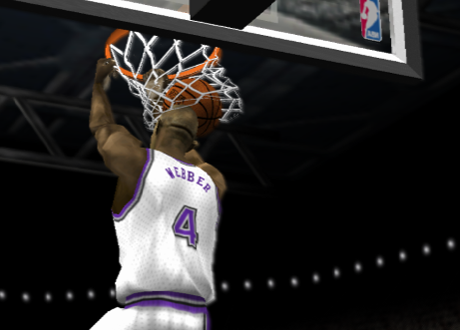 Time went on and then NBA Live 2003 came out, so I started playing that instead. I deleted the save file from my Memory Card a long time ago, though if I hadn’t I’d probably be tempted to go back and simulate the rest of the season and play a few of the Playoff games one lazy afternoon. As it stands though, I’ll stop short of calling it a waste of time as I did have a good amount of fun playing the game as much as I did. It’s just a shame that it ended so abruptly, not too far away from some semblance of completion. That’s going to wrap things up for this week. I hope that you’ve enjoyed reading about some of my basketball gaming experiences that didn’t go so well and ideas that didn’t quite pan out. What are some of your story thread or general basketball gaming ideas that flopped? Post them in the comments below and as always, feel free to take the discussion to the NLSC Forum. Thanks for checking in this week, please join me again next Friday for another Five.